Obituary for Bradley Paul Buck | Sykes Funeral Home & Crematory, Inc.
A Celebration of Life service for Bradley Paul Buck, age 63 of Clarksville, will be held Sunday, September 9, 2018 at 2:00 PM at Sykes Funeral Home. Burial will follow at Resthaven Memorial Gardens. The family will receive friends on Saturday,September 8, 2018 from 3:00 PM to 7:00 PM and again on Sunday, September 9, 2018 from 1:00 PM until the time of service at the funeral home. 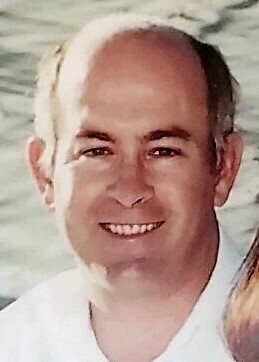 Bradley was born on February 6, 1955 in Omaha, Nebraska and passed away on September 3, 2018 at Tristar Centennial Medical Center. He is survived by his beloved family including parents Merle and Jean Buck, wife Patricia MacKenzie-Buck, brothers; Craig (Donna) and Rod (Lynn) Buck, nieces and nephews; Levi, Laura (Allen) Christobal, Alysha, Amy, Ethan and Logan Buck, step-children; Kristin, Kipp (Beata), and Ross Blackburn, Katherine Lehtola, and step-grandchildren; Maggie, Jacob, Katie, and Ben Lehtola, Freya and Eloise Blackburn. Brad was educated at The Catholic University of America and Cincinnati Conservatory of Music. He had a deep faith in Jesus Christ, and a passion for music, composing, gardening and landscaping. In lieu of flowers, donations can be made to Precious Friends Puppy Rescue. Please visit Bradley's guestbook at sykesfuneralhome.com and share a memory.